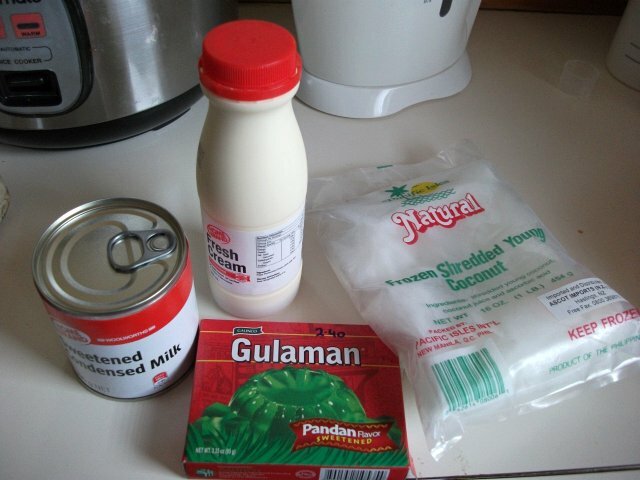 My wife made Buco Pandan last week with only 4 ingredients. It came out really good (don't trust my word for it, the guests also said so). And this was her first time to make Buco Pandan! I'd say this is the simplest yet yummy Buco Pandan recipe ever. If fresh ingredients are not available, a quick trip to the Asian Store should do the trick. Cook gulaman as per package instructions. When it has set, cut into cubes. 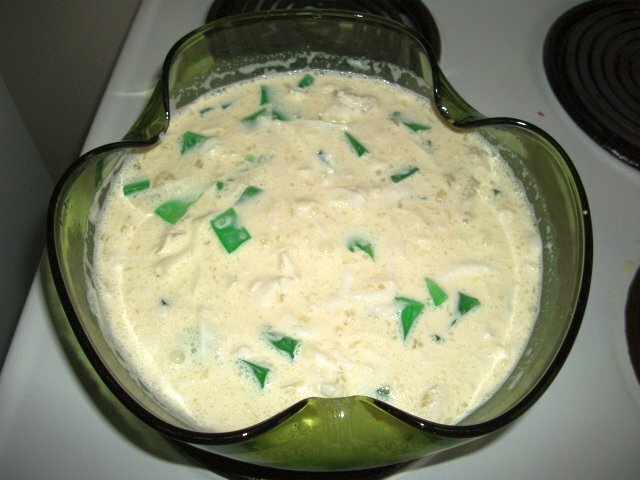 Mix the condensed milk and cream in a bowl. Then add the shredded buco and mix. Finally, add the gulaman cubes and mix gently. Mukhang masarap nga! Kahit na winter nagki-crave tuloy ako ng buko-pandan! Napansin ko, Mr. Nick, may Homebrand din sa NZ. 'Yan din ginagamit kong condensed milk dito sa Australia. Quality and affordable. mmmmm....buco pandan, peyborit ko kahit lactose intolerant ako! sarapas! NoBenta: akala nga namin mahirap gawin e. Madali lang pala. ang gagaling po ng mga recipe nyo. sana po pwede nyo din e add kung pain ilang serving ung mga recpe. ty.